President-elect Donald Trump will soon have the opportunity to put his stamp on the Federal Reserve. And that is making the elite body of central bankers nervous. On the campaign trail, Trump harangued Fed chair Janet Yellen for pumping up financial markets with cheap money – accusing the Obama appointee of being politically motivated. Trump also called for the Federal Reserve to be audited. Fed officials worry the Trump presidency represents a unique threat to the Fed’s closely guarded “independence.” Sound money proponents, meanwhile, are hopeful that some long overdue reforms of the monetary system could begin to take shape. The first item on the new president’s Fed agenda will be to appoint two members to the Board of Governors. The seven-seat Board currently has two vacancies that can be filled immediately. The Board of Governors exerts direct influence over monetary policy and can push the Fed chair toward adopting a consensus opinion. Janet Yellen is likely to stay on as the public head of the Fed at least until her term expires in February 2018. (Trump could potentially ask her to step down, but he cannot unilaterally fire her.) The president-elect has previously indicated he intends to replace Yellen with a Republican. However, Trump’s appointments for Treasury and Commerce Secretary, Steven Mnuchin and Wilbur Ross, muddied the waters by recently praising Yellen’s job performance. Mnuchin, a Goldman Sachs alumnus, and Ross, a billionaire investor, have benefited from the easy money policies of Yellen and her predecessors. The values of financial assets get artificially propped up by the Fed’s injections of stimulus into the financial system. Wall Street isn’t interested in overturning the current monetary order. It is interested in making sure its interests continue to be served by it. The incoming president’s job is to represent the interests of ordinary Americans. Trump ran a populist campaign that drew heavy support from the South and from “flyover country.” These regions have historically been under-represented in the media, in government, and in the financial system. Northeast elites continue to wield outsized power. That certainly holds true within the Federal Reserve itself. Since 1996, 80% of Fed governors have come from the East Coast, according to an analysis by Yale Law & Policy Review. Worse, nearly all ascribe to the Keynesian interventionist school of economics of inflation, debt, and government stimulus. A narrow groupthink pervades within the Fed. President-elect Trump could change that by injecting some fresh, outside-the-box thinking into the Board of Governors through his two upcoming appointments. Then in 2018, he could replace Fed chair Yellen and Vice Chairman Stanley Fischer to potentially give the central bank a new ideological character. 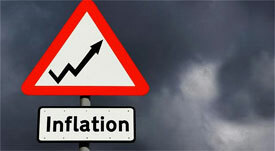 The Republican Congress will also have the opportunity to put its stamp on the direction of monetary policy. Senator Rand Paul and Representative Thomas Massie will try to push the Federal Reserve Transparency Act through Congress for President Trump’s signature. The bill to audit the Fed will face partisan roadblocks in the closely divided Senate, however. Other measures to reform the monetary system could be taken up. Alabama Republican Senator Richard Shelby proposes a commission to overhaul the structure of the Federal Reserve. Congress could also move to limit the Fed’s authority over interest rates by imposing a rules-based formula. The so-called Taylor Rule would spell out specific criteria for the Fed to follow in making policy decisions. One advocate of this approach is Trump economic adviser Stephen Moore. Something like a Taylor Rule that incorporates gold or commodity-based benchmarks would be a significant step toward a sounder dollar. At present, the Fed’s so-called “dual mandate” gives policymakers a ready rationale to expand the currency supply whenever they judge employment data to be subpar. While other central banks are tasked with the single objective of price stability, the Fed also has the job of pursuing “maximum employment,” and that has been its biggest excuse for maintaining loose monetary policy. 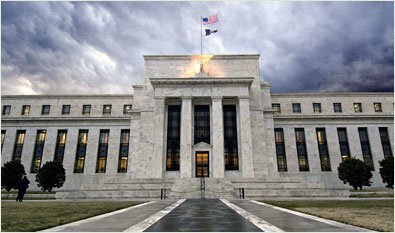 The new Congress could amend the Federal Reserve Act to take away the dual mandate and instruct monetary planners to pursue the single objective of stable prices. But the political reality is that a Republican administration that rode into power on a platform of bringing back jobs won’t want to see any potential tools for promoting job growth eliminated on its watch. If Donald Trump appoints the right people to the Fed, they could enact pro-sound money reforms internally – perhaps even after he leaves office. Trump met with Former BB&T CEO and sound money advocate John Allison while evaluating candidates for Treasury Secretary. Allison has indicated he’d also consider serving as the next Fed chairman. As an opponent of central planning and a proponent of free-market economics and gold, he would bring the sort of “outside the box” perspective needed to reform the Fed. Major monetary reforms won’t happen overnight. Let’s face it: The system is rigged to resist change. But it is not impervious to change! If a strong-willed leader who knows something about beating rigged systems pushes for change, then it can happen. And if the public pressures their representatives in Congress to get behind bills to audit and reform the Fed, then grassroots Americans can begin to wield influence in political territory that entrenched Wall Street and banking interests have heretofore claimed as theirs.